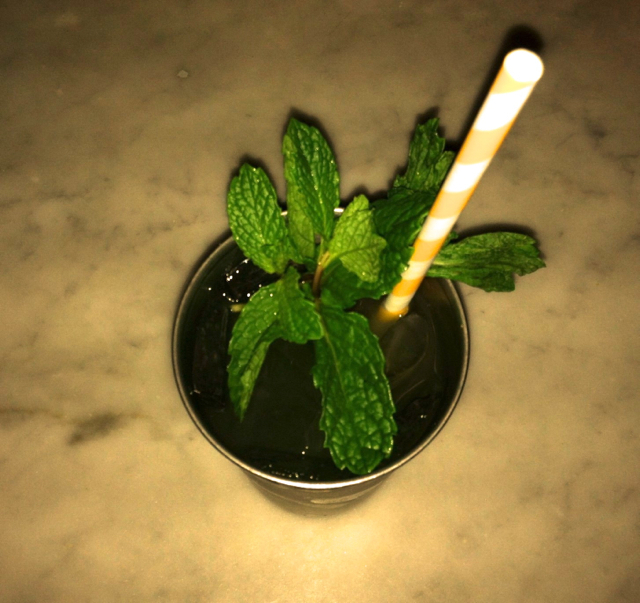 Muddle mint, tequila and lime in glass. Vigorously stir and crush mixture. Add simple syrup and mix well. Fill glass with ice and top off with club soda.